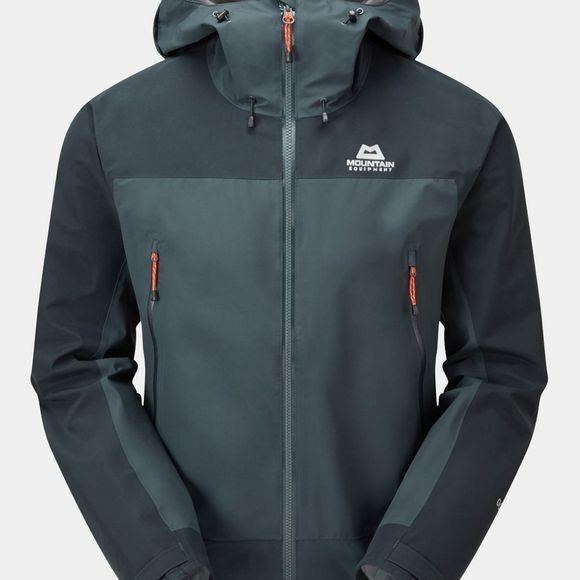 The Men's Saltoro Jacket from Mountain Eqipment is a lightweight and waterproof shell with hybrid GORE-TEX® construction for trekking and backpacking in the mountains. GORE-TEX® 75D and GORE-TEX® PACLITE® fabric are combined to give a lightweight, comfortable shell that retains the durability required for regular use with a pack. Our Alpine fit is completely unrestrictive for all day use and the proven Mountain HC Hood is a reliable refuge in the worst weather.